Iowa City – Iowa faithful, a great question looms and needs to be asked. Brace yourself, some may handle this differently. The question involves our cardinal and gold friends to the west. Now that Iowa State’s historically bad football team is ranked, do we pull for them to succeed? The Cyclones haven’t felt a national ranking since 2005. They claimed the final slot in the AP Top-25 poll this week after defeating Texas Tech. This Iowa State team has accumulated five wins and only faltered twice. Thankfully, one of those losses came to the Hawkeyes. The other at the hands of Texas in a game where quarterback Jacob Park threw the tantrum of a century. Realistically, Iowa State is a an overtime loss and an earlier quarterback change from being undefeated. That is a stretch to make for a team that still has two losses but put all of this is perspective. Iowa State has played seven games and only lost twice. Let that sink in. Those in black and gold have two common reactions to the Cyclones recent success. And oh how they differ. 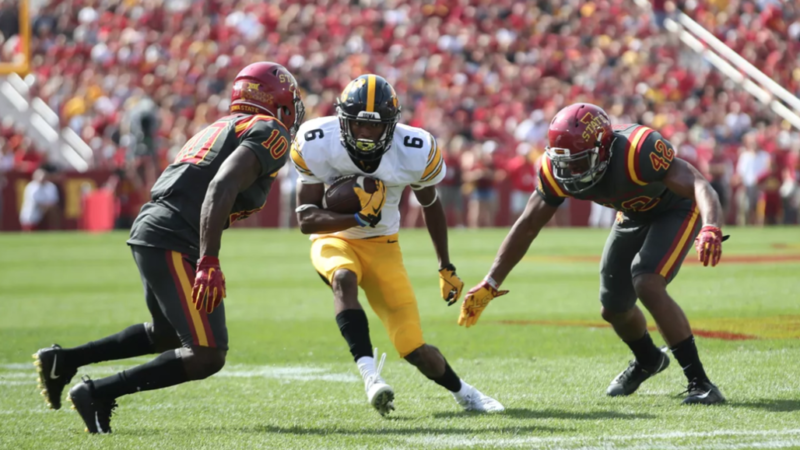 First of all, there are those who believe once Iowa has defeated Iowa State they no longer matter until the early fall matchup comes around again. These typically find it in their heart to root on the Cyclones on days they don’t play. In all reality, what does pulling for them really do. One is in the Big Ten, the other the Big 12. A majority only pay attention when it is a cy-hawk battle in football, basketball, or wrestling. 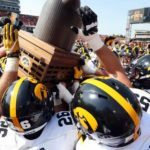 Does it really impact Iowa if they do bad? Especially if Iowa beats Iowa State, pulling for them can only help the Hawkeyes strength of schedule. Plus it legitimizes the rivalry in the nation’s eyes. 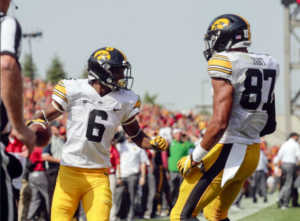 A sweeping opinion is that the game, at least in football, is a burden to Iowa. This is a simple, when Iowa State is good the rivalry is better as well. In hindsight, Iowa’s win in Ames could be their most impressive victory. The other option, which seems to be more non-Iowa residents, is that Iowa State favor has no place in Iowa City. They’d like to see a winless season every year. They have been nearly satisfied in recent years. This idea leaves no room for anything cyclone. Not in football, not basketball, and not in any sport. These are the die-hard Iowa State haters. They embrace the rivalry like those would see the Iron Bowl in Alabama. In their eyes, regardless of circumstances, Iowa State must lose to Iowa and finish last in the Big 12. There is no room in their heart for a Cyclone. It is a question that confuses many Hawkeye fans. When Iowa is good, it doesn’t matter. This year though, while Iowa currently boasts three losses, ignoring Iowa State is impossible. Fans are left with a moral dilemma, how to handle Iowa State being good. Iowa State faces top-five ranked Texas Christian in Ames. Do you cheer for Iowa State?